To make the batter, sift the flour and salt into a bowl and make a well in the centre. Add the eggs and pour the milk into the well. Beat the eggs and milk together with a wooden spoon, gradually drawing in the flour from the sides of the bowl, until the batter is thick and smooth. 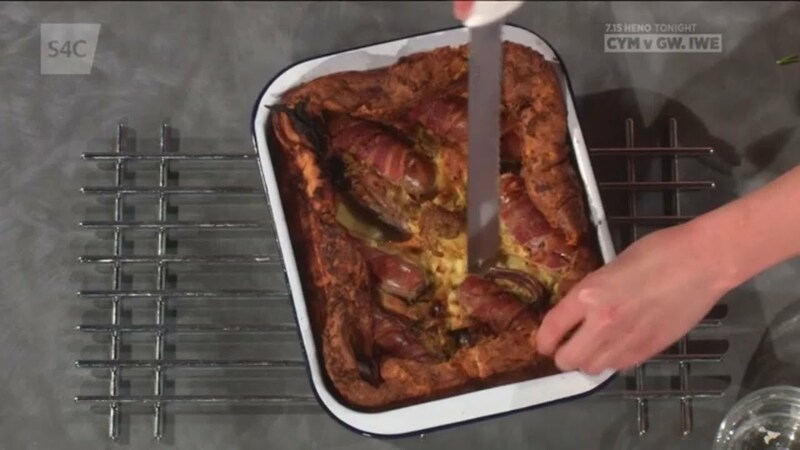 A British family classic, everyone loves a good toad-in-the-hole. 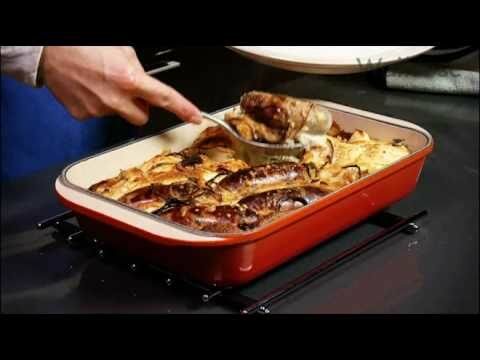 Here Jamie cooks crispy sausages, a huge tear-and-share Yorkshire pudding and a bold onion and apple gravy – a real crowdpleaser! To make the batter, mix the flour and mustard powder in a bowl with a good pinch of salt. Gradually whisk in the eggs and milk until you have a smooth batter. Mix in the thyme. Gradually whisk in the eggs and milk until you have a smooth batter.